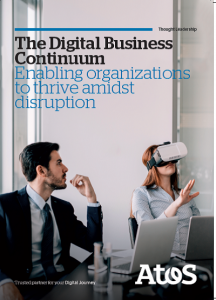 Over the last few months I have had the honor of working together with my colleagues in the Atos Scientific Community to write our latest white paper, entitled The Digital Business Continuum: Enabling organizations to thrive amidst disruption. In one of my previous posts, I described how companies who attempt to copy, in a superficial way, what digital disruptors are doing will, inevitably, be disappointed by the results. I wrote then that businesses will have to transform the “very essence” of how they operate. “Radical results require radical transformation,” I said. But what should this radical transformation actually look like? At the start of our journey to produce this whitepaper, that was the key question we had in mind. And it is the question that we have tried to answer by describing an approach to running an organization that we have called the Digital Business Continuum. One of our key realizations has been that, amidst a world that is changing more rapidly then ever before, you can no longer plan a “one-shot” transformation lasting several years. If you do, by the time you have “finished”, the world will have changed. And rigid long-terms plans like these can prevent organizations from responding quickly to threats and opportunities as they arise. We concluded that an organization therefore needs to be run in a way that enables, rather than hinders, this much needed responsiveness. Most of the paper explores the implications of this in terms of the kinds of leadership, governance, organizational structure, and culture that are needed in order to enable an enterprise to continually adapt. 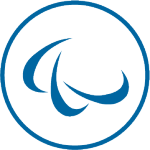 So, for an organization to adapt quickly to changing market conditions, they have to be able to rapidly pivot where they target their scarce resources. But this quickly led us on to the question of why? Is it to just to stay in business at all? Is it to make as much profit as possible? In the end we concluded that, for long-term success, organizations must have a unifying purpose which not only guides decisions about resource allocation, but also gives meaning to the work needed to fulfil the organizations' ambitions. The second key lesson for me was how crucial the topic of diversity is. We asked ourselves: why do organizations fail to adapt? We recognized that sometimes it can be due to arrogance, sometimes it can simply be failing to notice a threat, and sometimes it is a healthy dose of “that’s how we’ve always done things around here”. We realized that, to combat these, fresh-thinking needs to be actively nurtured and encouraged. And then we realized that diversity (including gender, cultural background, disability, ethnicity, neurology, sexual orientation, and age) is one of the most effective ways to ensure that norms will be challenged and that innovative thinking will be allowed to thrive. Of course, the Digital Business Continuum covers many more topics than these, ranging from why leaders need to avoid using a traditional command-and-control style, through to how organizations can leverage community, crowd sourcing, and the gig-economy. Just as I learned many things by being involved in the creation of this whitepaper, I hope that, when you read it, you will find something that is new and thought-provoking for you as well. And our research on this topic is still ongoing, so I would absolutely love to hear your feedback, comments and ideas too!